WARNING: THIS MAY CONTAIN NAMES AND IMAGES OF ABORIGINAL AND TORRES STRAIT ISLANDER PEOPLE WHO ARE NOW DECEASED. During NAIDOC Week in 2018, Western Sydney University will honour Aboriginal and Torres Strait Islander women who have made transformative contributions to the University community. Aunty Mae is a descendant of the Yuin and Kamilaroi people and is a long-time resident of Western Sydney. She studied at Milperra CAE (now Western Sydney University) in 1980 and after graduation, worked in the education system, helping draft the state’s first ever Aboriginal Education Policy. Aunty Mae has received more than 20 awards, including an Honorary Doctorate and the ‘Woman of the West’ award from Western Sydney University and she is currently an Elder on Campus at the University. Aunty Pearl Wymarra’s mother was from Borroloola in Queensland. As a mature-aged student, she graduated with a Diploma in Primary Teaching in 1980, and a Masters in Health Science in 2001, both from Western Sydney University. Aunty Pearl Wymarra worked in primary education, government and was a former Director, Wyung Aboriginal Unit at Hawkesbury, which is now the Badanami Centre for Aboriginal and Torres Strait Islander Peoples Education. She was made an Honorary Fellow in 2000 and describes Western Sydney University as a "belonging and healing place." 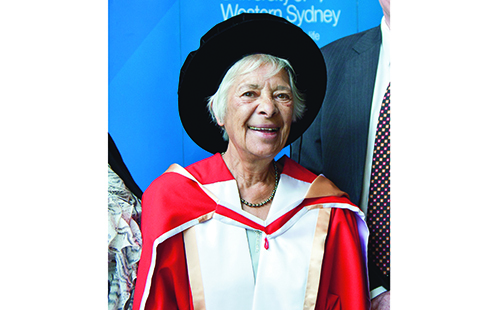 The first recorded Aboriginal person to graduate from an Australian university, Dr Margaret Williams-Weir was born in northern NSW and is a Malara Bundjalung woman. She served as a Consulting Member of the Western Sydney University Aboriginal and Torres Strait Islander Employment and Engagement Advisory Board. Dr Williams-Weir was honoured for her trail-blazing legacy as a life-long educator, researcher and contribution to higher education at the launch of the Universities Australia Indigenous Strategy 2020 at Parliament House in Canberra 2017. Emeritus Professor MaryAnne Bin-Sallik of the Djaru people of the Turkey Creek area has experienced many firsts. 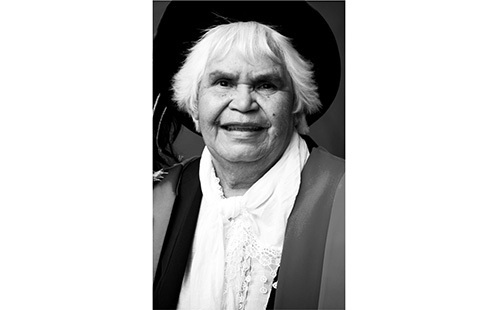 She was the first Aboriginal person to graduate as a trained nurse in Darwin, the first Aboriginal Australian to receive a Doctorate from Harvard University and is currently a member of the Western Sydney University Board of Trustees. 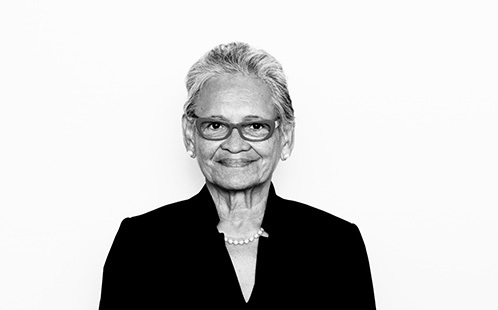 Emeritus Professor Bin-Sallik has received many accolades for her dedication to education reform, and was named Female Elder of the Year during NAIDOC 2016. 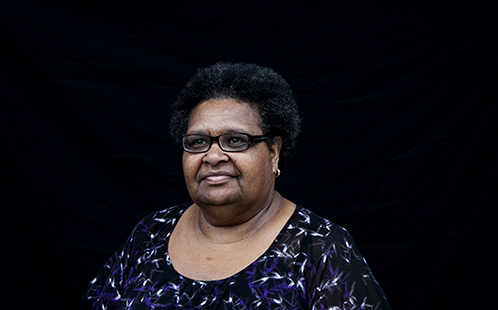 Aunty Thelma Quartey’s mother’s family comes from Murray Island in the eastern Torres Strait, known as the Meriam People. Aunty Thelma helped organise the First Peoples network in the Hawkesbury area and performed Torres Strait Islander dances and music. Many years later, she joined the University’s Aboriginal and Torres Strait Islander Employment and Engagement Advisory Board, and helped develop the action plan that recognises Aboriginal and Torres Strait Islander staff and understand their needs. Aunty Jean is an alumnus of the University achieving a Bachelor of Arts in 1990. She is also an accomplished artist participating, curating and featuring in many exhibitions. Aunty Jean has a breadth of experience working in high schools and in the higher education sector. Aunty Jean has been an active member of many committees including the National Aboriginal and Torres Strait Islanders Higher Education Network. “In light of this occasion, we are taking the opportunity to acknowledge the wisdom, knowledge and experiences of Aboriginal and Torres Strait Islander women, who continue to leave an indelible mark that lifts up the University and makes it a more inclusive and culturally-rich institution, for the region and for the nation,” says Ms Williams. As part of NAIDOC Week celebrations at the University, all staff and students are invited to take part in the annual NAIDOC Week Quiz, and view the photographic exhibition titled 'Too Dark to See' in the Badanami Centre (Building 12), Bankstown Campus and the Yarramundi exhibition in the Badanami Centre, (Building EY), Parramatta South Campus.